I am sure you have always heard, throughout practicums and internships, “You have to go into the classroom the first day as a new teacher. Be stern, straight faced, and heaven forbid DO NOT smile until Christmas.” I have to say that’s probably the worst advice anyone could give a new teacher. I would much rather have comfort in knowing some tricks of the trade, what to expect, what I need to do, and who can help when facing the world of teaching. I hope this blog can provide some insight into some of the successful tips I have had coaching new teachers. How does one develop rich teaching? 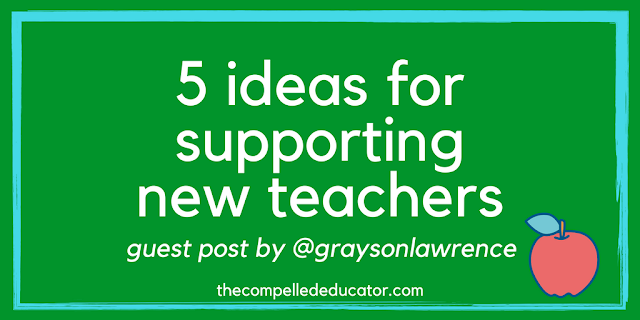 Here are some of my suggestions for supporting new teachers. 1. School Culture Orientation: It is important to integrate new teachers into the school culture prior to day one. If at all possible, teacher leaders and administrators should meet during the summer with new teachers to discuss school culture. 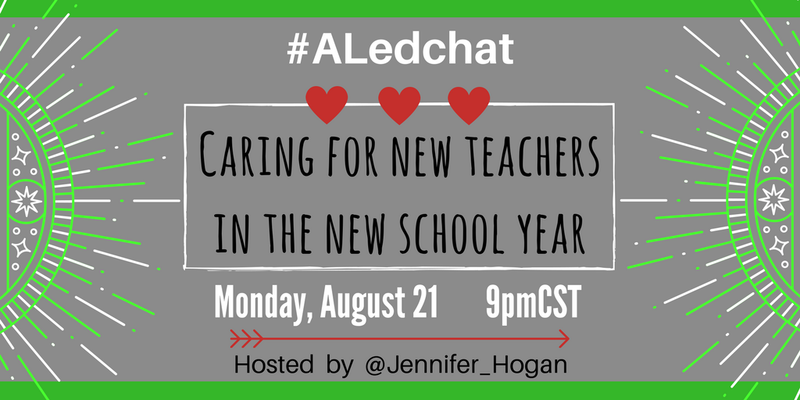 This allows for all teachers to create and develop working relationships prior to meeting students on day one. Orienting them with “how things work”, “what things are like”, and “what are our culture/climate goals” creates immediate comfort because novice and rookie teachers are having the same conversations on an even playing field, so to speak. Having this day leaves a new teacher comfortable and confident to begin the year. Often during a professional development culture day, all “non-negotiables” are established. It can also be beneficial to have the student leadership team participate in this day giving the new teachers and students time to begin developing relationships. Never forget that when establishing expectations for teachers it is also our duty to help meet them. 2. 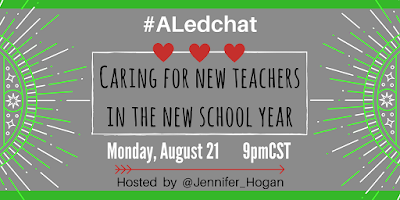 Relationships: I have heard the quote, “Students don’t care how much you know until they know how much you care.” This is also very true for new teachers. As an administrator, building relationships with new teachers is so important. I asked several of my new teachers what they appreciated most when they began their work with me. Each one of them stated their appreciation for an open door policy and caring about them not just as a teacher but also as an individual. Every teacher is unique, just as every student is unique, so fostering individual relationships is key in feeling supported and valued. "Every teacher is unique, just as every student is unique, so fostering individual relationships is key in feeling supported and valued." 3. Differentiated Professional Development: Every teacher in the school is at a different level professionally. It is important to meet the teacher where they are and support their professional growth. Having continuous conversations about teaching and learning with open dialogue about teacher strengths and weaknesses will help develop this culture. I am a firm believer that teachers should lead other teachers from within. When there is a teacher in the building that has amazing classroom management strategies, have others that need work in this area go observe that model. Maybe there is a formative assessment expert down the hall. Administrators should never feel above going to “hold down the fort” in a classroom so teachers can learn from one another. My principal and I call this “rust prevention”. Watching a class allows us an opportunity to teach from time to time which is really our first love anyway. 4. Celebrate Failed Lessons: Earlier, I mentioned conversations about strengths and weakness of teachers. Through thoughtful conversations and reflections, teachers are typically eager to learn; it’s just what we do. I have never had to tell a teacher that their lesson was a flop. Teachers will tell it before you say anything. The key for new teachers is to cultivate the relationship that failed lessons are positive for teaching and learning as long as something beneficial is learned from the failure because then it turns the failure into a win. I love the phrase “reflect to redirect”. When we have reflected, and through the conversations instruction is redirected and improved, it is a total win for the administrator, teacher, and student. 5. Be Present: I made a goal several years ago to visit every classroom everyday. I have found being present desensitizes teachers, old and new, from thinking that you are only there to evaluate. Evaluation is part of the process, but being present to support one another speaks volumes. It develops a mindset of collaboration. There is no me, or you; it is us. New teachers should see you in their classrooms for support instead of as a dictator and evaluator. I want new teachers to see me in their classroom so I can support them and be there for questions no matter how big or small. After all, knowing what is happening in the school is most important. Being present creates the idea of support for your teachers by just being visible.